We were attending for the second time in the last 3 years the most premier open data conference on the east coast in Boston. Primary reason was to focus on the time series modeling talks by several renowned experts like Jeffrey Yao, AB Wang, Amir Meimand etc. and to also possibly look for possible DS candidates for freelancing/internship for CIEK. 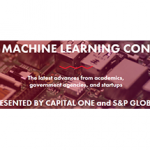 Most of the talks ranged in the areas of deep learning, machine learning, predictive analytics, natural language processing, data visualization & AI research. Common tools used by most data scientists were Python, Jupyter notebooks, R, Julia, Apache Spark and TensorFlow. One of the best talks was given by Cathy O Neil author of Weapons of Math Destruction, delivering a powerful message on how we must be vigilant to ensure data science methods are not used in ways that increase inequality and injustice. Super conference. Marked already for attendance for next year as well.